It’s no surprise that Estevan and Indian Head drivers prefer the 2015 Dodge Grand Caravan to the 2015 Honda Odyssey, 2015 Toyota Sienna, and the 2015 Kia Sedona. Offering a higher level of power, performance, and convenience — all for a much lower starting price — the Dodge Grand Caravan reviews show that it is a minivan without equal. 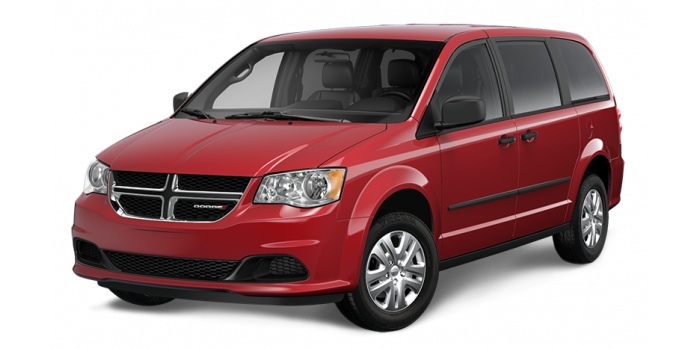 The 2015 Dodge Grand Caravan starts at only $19,895 with the Canadian Value Package. These models are still fitted out with the kind of features that Estevan and Indian Head families expect from a vehicle in this class, including dual-zone climate control, cruise control, and a Uconnect 130 multimedia centre with four speakers. 2015 Honda Odyssey: The Odyssey starts at $30,350 – over $10,000 more than the Grand Caravan. You could pick up a top of the line Grand Caravan Crew – with tri-zone automatic temperature control and leather-wrapped steering wheel – while still paying less. 2015 Toyota Sienna: The Sienna will cost Estevan and Indian Head drivers a minimum of $31,040, even more than the Odyssey. For a similar price, you could drive home in a Grand Caravan Crew Plus, enjoying leather-faced seats, a ParkView backup camera, and a Uconnect 430 multimedia centre. 2015 Kia Sedona: Even at $27,495, the Kia Sedona asks for at least $7,600 more than the standard Grand Caravan. Try a similarly priced yet luxuriously styled Grand Caravan SXT Plus instead. 2015 Honda Odyssey: Produces a maximum of only 248 hp from a 3.5L i-VTEC V6. 2015 Toyota Sienna: Produces up to only 266 hp from a 3.5L DOHC. Drawing on the enormous power supplied by its award-winning, class-leading engine, the 2015 Dodge Grand Caravan is able to tow more than any other minivan in its segment. A generous maximum rating of 1,633 kg allows you to haul even relatively large items, an appreciably larger figure than is offered by the vehicle’s competitors. The 2015 Honda Odyssey, 2015 Toyota Sienna, and 2015 Kia Sedona all fall short — with each these vehicles, you’ll possess the power to haul only 1,588 kg. It’s not a terrible rating, but it’s not the best, either. We expect drivers in Estevan and Indian Head to choose the minivan that offers the increased versatility that comes with a higher towing capacity. Second-row Super Stow ‘n Go: A simple pull of a lever helps you stow these seats away in seconds. Stow ‘n Place Roof Rack System: Crossbars fold into the side rails when not in use in order to effectively lower wind resistance. Super Stow ‘n Go Seats? You’ve Seen the Dodge Grand Caravan Reviews — Now Drive It! The Dodge Grand Caravan reviews are full of acclaim, and it’s no wonder that it has been Canada’s favourite minivan for over 30 years. Become part of this legacy yourself, and visit Knight Weyburn CDJR for a test drive. We’re close to both Estevan and Indian Head, and we proudly serve the surrounding communities.